Bangor, ME averages 23° F in winter. You need a well-insulated garage door to keep the heat inside and the cold out. There's no better way to understand the quality of our products than to watch them being tested against others in a lab. Your door is only as good as its installation. That’s why GARAGA offers its customers a network of certified installers. 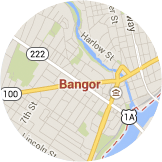 In Baring, Maine, you can benefit from over 20 years of experience! 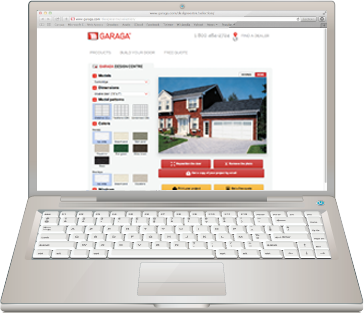 GARAGA garage door experts in the Bangor, ME area provide top quality services for your garage door. They have years of experience with the historic architecture of Bangor and the specific weather-related peculiarities of the region. These technicians will listen to you and can advise you on the best means of satisfying your aesthetic preferences and particular needs, while simultaneously respecting the historic feel of Bangor. 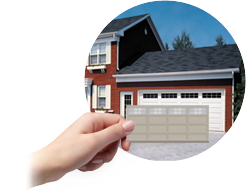 You can depend on our expert technicians to help you choose a residential garage door. They have the experience and know-how to help you navigate the details to consider before you make your purchase. Our specialists can help you determine which garage door will fit your needs perfectly; they will discuss the specifics of how you use your garage, its location in relation to the rooms in your home, the level of insulation you require, as well as the proximity of bedrooms to the garage. It will also be important to determine the type of garage door opener and related accessories you would prefer to purchase. Don’t forget all the decorative elements for the door, such as the model, the color, the texture, the windows and the hardware. LiftMaster is the first choice of Bangor homeowners for garage door openers. Garage door specialists in Bangor rely on this company year after year. 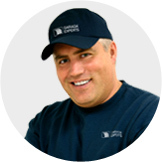 LiftMaster, which is part of The Chamberlain Group, is a pioneer in the garage door field and continues to provide garage door openers of the highest quality for residents of Bangor to this day. Its garage door openers can last for a lifetime and are extremely easy to use. Many garage door professionals recommend them. LiftMaster garage door openers are adaptable to meet the needs of individual customers and their homes. For example, if a family member often leaves for work in the wee hours of the morning, a quieter model would be preferable. These door openers also work on any type of door, and the company offers a seemingly endless variety of accessories for the safe and customized usage of the garage door. Qualified installation experts will install your garage door and then can provide scheduled inspections to keep your garage door system in excellent condition. These regular inspections will provide you with peace of mind and a cost-effective way of avoiding problems. Professionals in Bangor, ME work meticulously to install, repair and maintain residential and commercial garage doors. Regular preventive maintenance visits can be scheduled in order to avoid costly repairs and emergencies. Our technicians will provide a detailed inspection of your garage door system, so it remains in excellent condition for years to come!